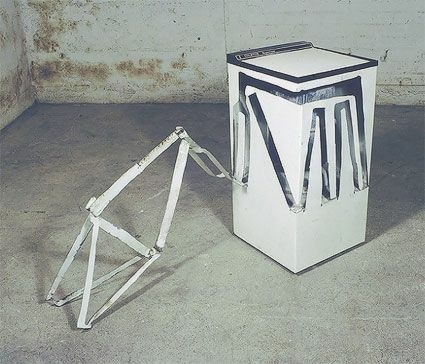 Waddington Custot Galleries are pleased to announce an exhibition of 1980s sculptures by British artist, Bill Woodrow. Woodrow came to prominence in the early 1980s with his 'cut-out' sculptures, discarded household appliances which had been recycled" and given new life. This exhibition includes nineteen 'cut-out' sculptures, dating from 1981 to 1988.